JERUSALEM (CNS) — Even in times of violence and despair, the power of joint prayer for peace can be felt, said Archbishop Pierbattista Pizzaballa, apostolic administrator of the Latin Patriarchate of Jerusalem. 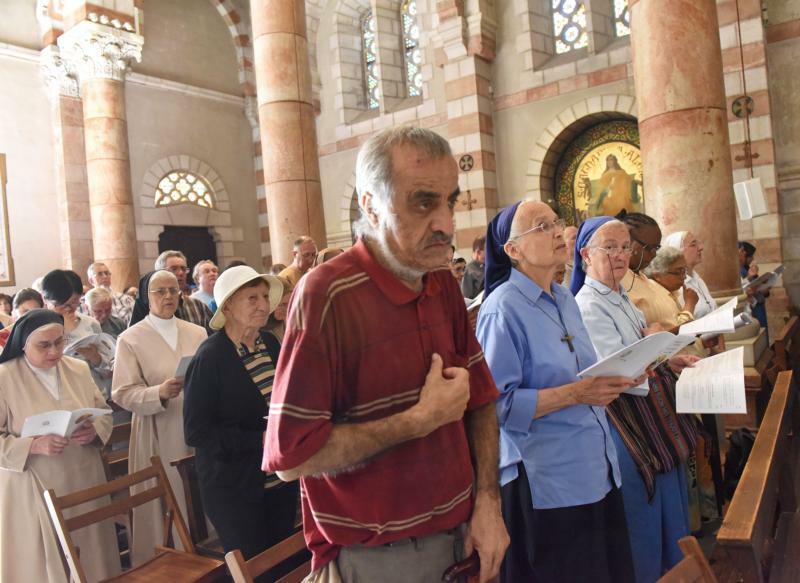 Local Palestinians, religious and foreign worshippers gathered at the Dominican Church of St. Stephen May 19, answering the archbishop’s call for a joint peace prayer in the face of May 16 violence along the Gaza-Israeli border, in which 62 Palestinians were killed and more than 2,000 were injured. Palestinian demonstrations along the border began March 31, protesting the move of the U.S. embassy to Jerusalem and marking the 70th anniversary of what Palestinians call al-Naqba, or catastrophe — the establishment of the State of Israel. Israel says it has been using live ammunition to prevent Palestinian protesters — whom they say are being incited by Hamas — from breaking through the Gaza border fence, raising fears that they would carry out terrorist attacks on neighboring Jewish villages.